Judge Winmill granted a preliminary injunction and ordered the Forest Service to issue a closure order that 1) blocks any Omega Morgan megaload on Highway 12 between mileposts 74 and 174, through the wild and scenic river/national forest corridor, and 2) remains in place until the Forest Service has conducted its corridor review and consulted with the Nez Perce Tribe. The Forest Service closure order, immediately effective until rescinded by the Forest Service, prohibits any Omega Morgan 1) vehicle over 16 feet wide or 150 feet long, 2) overlegal vehicle that requires longer than 12 hours to travel this portion of Highway 12, and 3) vehicle that requires roadway or adjacent vegetation modification for passage. The Forest Service will probably not tighten these megaload restrictions anytime soon. But if another company applied for a Highway 12 overlegal permit, allies would swiftly seek a similar temporary injunction. Moreover, even if stranded evaporator owner RCCI had persuaded the U.S. Ninth Circuit Court of Appeals to stay Judge Winmill’s preliminary injunction, the Forest Service closure order could have remained in force. At this point, WIRT and all of our allies can only hope that Judge Winmill would extend a permanent injunction or that the Forest Service would institute a perpetual closure order for all Highway 12 megaloads in Idaho, when the multitude of intrinsic and cultural values of this internationally treasured route emerges from further analysis. The current megaload situation is playing out like the previous dilemma of 33 ExxonMobil/Imperial Oil overlegal shipments that also sought but were court-blocked from Highway 12 transit in 2010-12. Mostly out-of-state workers not as secretly disassembled those tar sands processing components into about 70 half-height modules, and heavy hauler Mammoet similarly tried to sneak behemoths weighing up to 415,000 pounds past Moscow area protesters and monitors. Omega Morgan, Morgan Machinery, and their state police and transportation department facilitators slipped two legal weight “sump sections” up Highway 95 after WIRT/Moscow protesters dispersed on the night of October 15-16, and no one blockaded the other two of four suddenly apparent pieces of the controversial RCCI evaporator. Adam Rush of the Idaho Transportation Department (ITD) said that these smaller, lighter transports are “different from the piece of equipment that is still at the Port of Wilma,” probably only because they were no longer attached to it. While RCCI explores “alternative shipment options,” such as different routes or equipment modification, workers are continuing to dismantle the certified “non-reducible” megaload. Already narrower than the 16-foot width prohibited by the Forest Service closure order for Omega Morgan (but not Morgan Machinery?) megaloads on Highway 12, the disassembled evaporator could invade Highway 12 or use less desirable Highway 95, an alternative route that still imposes height and logistical challenges and increases disassembling costs and delays. Last week, an oversized load owned and hauled by unknown companies appeared on Highway 95 from undisclosed origins, unannounced by the Idaho Transportation Department. The 15.4-foot-wide liquid full absorber manufactured by Doosan Heavy Industries Vietnam, which challenged none of the Forest Service closure order criteria, hurried past all but a few vigilant and fierce Nez Perce activists on disputed Highway 12, during daylight (not the usual night-time) hours on October 21. State police claim that the shipment headed south on Highway 95, while ITD says that it went east up Highway 12. Along with court victory celebrations, citizen confusion and relative inaction over regional megaloads have created a troubling and tense scenario. No matter which route the evaporator parts take, they will still inflict ecocide, genocide, and climate change through Alberta tar sands steam assisted gravity drainage (SAGD) mining facilities at their destination. But Wild Idaho Rising Tide and Nez Perce activists have effectively impeded tar sands mining operations in the past, as we rallied diverse alliances and direct actions among our local opposition and caused some of the largest corporations in the world to choose less remote routes for their killing machines. Our steadfast efforts to confront EVERY 2011-12 Imperial Oil shipment through Moscow and during their last month through Spokane resulted in several blockades, a critical mass bike action, thirteen arrests and/or citations, and court cases and a jury trial, as we scouted, monitored, and protested the loads and offered and inspired regional tar sands presentations and film screenings. In increasingly obvious, if not purposeful, relative obscurity since January 2011, we created for Imperial Oil relentless negative publicity and media coverage, along with project uncertainty, endless delays, unexpected complications, and two billion dollars of unanticipated expenses. Costs rose from the constant surveillance of megaload transports, demonstrations, protesters, and port and stopover parking spots, by city, county, and state police and private security guards, during more WIRT actions than our exasperation can remember. While some regional residents and allies chastised or intentionally obstructed our endeavors, WIRT permanently altered the economic feasibility of climate-wrecking megaload shipments and Alberta tar sands mining investments and ventures. 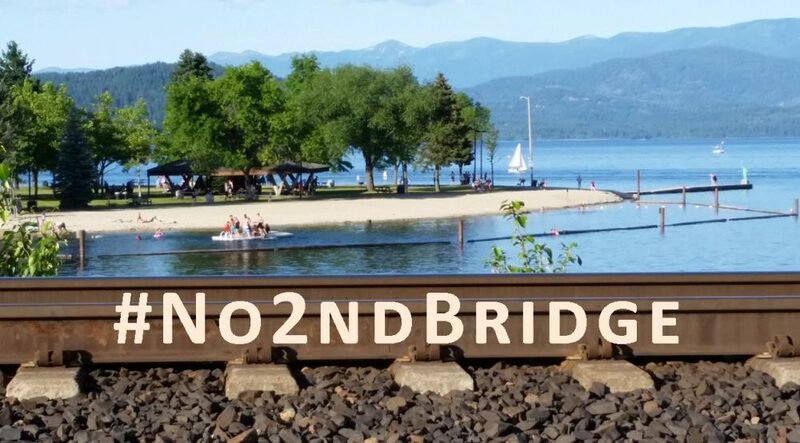 National attention currently spotlights north central Idaho resistance to Highway 12 megaloads, even while it neglects ongoing Alberta tar sands supply traffic and opposition in the regional re-routing sacrifice zones of Highway 95 and other routes. Our region has facilitated tar sands exploitation, with over 350 processing equipment parts reaching Alberta on our roads, and toxic tar sands oil daily combusting in our vehicles. While we protect Highway 12, the world burns: The time is ripe to prepare and successively execute non-violent direct actions. As General Electric “instead will focus on alternative shipment options,” we wonder what would happen if all of our regional neighbors, so necessarily fixated on the legalities of megaload size rather than intent, would assist the grassroots Northwest/Northern Rockies anti-tar sands campaign. What are activists in Texas, where most of these imported shipments embark for Canada, doing to stop transportation onslaughts that build the largest industrial project on the planet in Alberta? We find it difficult to celebrate court victories that drive us to risking arrest in the highways that most of our region seems unwilling to defend against tar sands invasions, not unlike the myopic, nationwide preoccupation with Keystone XL pipeline politics that compels Gulf Coast pipeline blockaders to struggle against that more critical tar sands export conduit. As we call on stalwart Nez Perce and WIRT activists and our esteemed Rising Tide comrades in Missoula, Spokane, Portland, Vancouver, Olympia, Seattle, and Bellingham to join us in frontline megaload blockades and solidarity actions, we have commenced direct action planning against the evaporator pieces that could move up either Highway 12 or 95 as early as this week. Several scenarios could unfold, as state and corporate powers try to thwart resident outrage with smaller megaload dimensions, unclear route selection, and undisclosed transport destinations, while WIRT and allies tirelessly uphold indigenous and public lands, waters, air, roads, and rights. Now that RCCI has split off the 20-foot-diameter sections of its inexplicably divisible and unstranded evaporator, and Omega Morgan and Morgan Machinery have conveyed them to Canada, it will likely slice the rest of the megaload into about 15 sections, each about 13.5 feet long, and place them vertically on two-foot-high “low-boy” trailers that fit under 16-foot-tall overpasses. If the middle, low-slung saddles of these trailers, measuring 25 to 50 feet in length, can accommodate the weight of two of these metal cylinders, the route they take could see up to eight modules transported on four trailers over two nights (or days?). And if the trucks, trailers, and evaporator segments do not exceed 16 feet widths, these Omega Morgan “mini-megaloads” could be divided into even taller sections that traverse Highway 12, sliding through legal loop holes that no longer qualify them as megaloads for permits and still rumbling toward Alberta to do damage to people and places. But regional activists have already increased the delivery costs of two evaporators, imposing additional labor and inspection for each disassembling and re-assembling job as well as project delays that weather exposed equipment, dishonor deadlines and contracts, and incur associated fees or fines. Like the 165 Imperial Oil megaloads that arrived at the Port of Pasco after their 33 Port of Lewiston counterparts, six to eight successive RCCI evaporators may be manufactured in Port Coquitlam, B.C., for easier dismantling into 19 or more respective pieces, and barged to downriver ports with possibly better facilities, such as Kennewick, Pasco, Vancouver, or Portland, or even Puget Sound docks and yards. Such an undertaking could yield 114 to 152 tar sands mining modules traveling Highways 12, 95, or 395 and/or Interstates 5, 405, 90, and 15. WIRT encourages, anticipates, and supports protests of tar sands mining infrastructure springing up again in Portland, the Tri-Cities, Spokane, Coeur d’Alene, Lewiston, Potlatch, and Missoula, and on the Nez Perce and Coeur d’Alene reservations. Besides the lawsuits of regional organizations and tribes, a few dozen people waving tar sands resistance signs on megaload route sidelines, even without risking arrests, delays and makes greedy companies nervous and willing to pay for additional private and public security. (But, because most of the WIRT collective tar sands/megaload protest signs dispersed during the four early August nights of Nez Perce blockades, please either return your borrowed sign or design a new one.) Multiple, coordinated actions waging peace against these corporate forces could significantly undermine their dwindling profitability and precarious reputation, while bolstering the growing climate justice movement. See the second image on the third page of these diagrams, to confirm that the RCCI evaporator is less than 16 feet wide. On Sunday afternoon, October 20, three Wild Idaho Rising Tide activists drove by the Port of Wilma, across the Snake River from Clarkston, Washington, where megaload hauler Omega Morgan has leased and secured a yard and warehouse, to store, disassemble, and stage evaporators transported whole up Highway 12 or in pieces up Highway 95, to Alberta tar sands SAGD mining operations. WIRT recently updated this and related posts with information about the passage and destination of this Highway 12 mini-megaload, gleaned since our October 21 media release and pertinent to looming transport of evaporator pieces on regional highways by sneaky corporations and lying state facilitators. If the WIRT activists who suddenly encountered the Vietnam-made megaload on Highway 95 on October 20 had known what it was, where it was going, and that ITD would provide no public notice of its movement (which we should have guessed! ), we would have alerted the regional megaload resistance community sooner about this Canadian-bound interloper. Nonetheless, we have posted two of three videos of the mystery megaload, which we filmed before it crossed Highway 12 on October 21. The third, unposted video documents a trailer specifications plaque. A mini-megaload of unknown ownership, origin, and destination traversed Highways 12 and 95 and met Nez Perce resistance in the reservation on Monday, October 21. Nez Perce tribal activist Judy Oatman talks about her solo vehicle blockade of an oversized, Vietnam-made liquid full absorber traveling on Highway 12 during daylight hours on Monday, October 21, through an interview. Evaporators and their parts moving through Idaho and Montana are building Athabasca Oil Corporation’s Hangingstone SAGD mining facilities, to heat, frack, and plunder underground tar sands deposits southwest of Fort McMurray, Alberta. With respect and admiration for Nimiipuu allies who have stepped to the forefront of our regional anti-megaload/tar sands battle, leading and showing the way against corporate industrialization of precious tribal and public lands and waters in the Northwest and Alberta: Qeciyewyew!